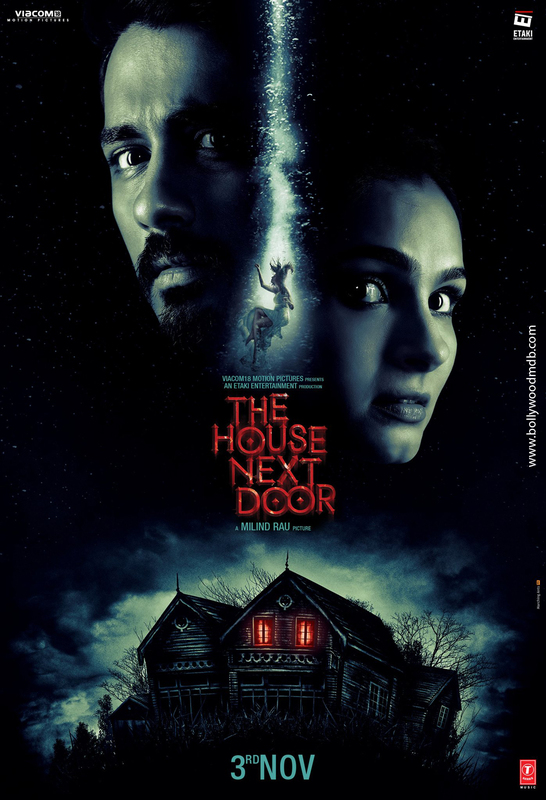 The House Next Door Review: A horror film that does complete justice to the genre! Fond of horror flicks? If yes, then read The House Next Door movie review here on BollywoodMDB and know whether or not you should be spending your money on this. A couple shifts to a new locality after marriage and soon it unfolds that the house next door is haunted by ghosts. Krish (Siddharth) is a renowned neurosurgeon who leads a happy life with his wife Laxmi (Andrea Jeremiah), in a beautiful house nestled in the mountains. Joining them soon in their sprawling neighborhood is a new Christian family of five. Soon after the new family moves into the old palatial house, a string a strange things start happening with their elder daughter Jenny. Initially, Krish tries to help them but when things get out of his control, he takes help from a senior psychiatric and priest. Soon, it is revealed that Jenny is possessed by a spirit that wants them to leave the house immediately. But besides Jenny being possessed, there is more than meets the eye. Will Krish be able to save Jenny? Who is this spirit and why does it want them to leave the house? Will the spirit harm Krish and his wife for coming in its way? Watch the film to find these answers and more. The House Next Door is toplined by southern star Sidharth who keeps juggling Bollywood and south Indian films. His last Hindi release was the 2013 comic-caper Chashme Baddoor which was a box office success. Here Sidharth plays a doctor and pulls off his character really well. In his romantic scenes with co-star Andrea, he oozes oodles of sensuality and looks amazingly good on screen. His character Krish has many layers and the actor gives his hundred percent to portray every emotion with brilliance. You will feel happy to see him in the film and, most importantly, in this perfectly written role. Andrea, on the other hand, is also impressive but there should have been more meat in her character. For some strange reasons, her character is not fleshed out properly. She plays a good wife. Just it. Her contribution to galvanize the proceedings is very limited. Talented actor Atul Kulkarni plays his part honestly. Child actor Alisha Angelina Victor does send chills down your spine with her brilliant act in the movie. Filmmaking is not an easy job. It's even more challenging when you set out to make a horror film. But director Milind Rau takes up the challenge and delivers a movie which keeps you at the edge of your seat from start to finish. While watching The House Next Door, you don't want to make the audacious attempt of blinking your eyes because you fear that you might miss something important. I strongly recommend his trilingual film to those Hindi filmmakers who make trash in the name of horror films. As the captain of the ship, Rau deserves distinction marks for making a horror film that really scares. The film excels in all technical departments from cinematography to background score and VFX to CGI. Its editing could have been more refined in the second half, though. Frankly speaking, when I entered the hall for the special media screening of the movie, I had no expectations from it. But after a few minutes into the film, I knew that I was watching a well-structured Hindi horror film after years or may be a decade. Everyone seems to have put in their hundred percent to make The House Next Door an amazing horror flick that it is. Kudos to each and every member of the film. The Hindi soundtrack of the film is average. There is only one song in the Hindi version of the film, which is just okay and does not affect the narrative in any way. It's not the kind of song which you would like to hum while coming out of theatre after watching the film. Frankly speaking, it's good that makers did not make deliberate attempts to stuff too many songs in the movie. There have been a very few good horror flicks made in India. Most of the movies belonging to the genre of horror, end up adopting similar themes and plots with no ingenuity at all. The House Next Door is better, if not great, than many horror films that we have seen of late. It is a one-time watch for sure. Kangana aka Manikarnika strikes a pose with the entire team on the last day of the shoot! Postponed: Kangana Ranaut’s ‘Manikarnika: The Queen of Jhansi' to now hit the theatres on year end! Makers to revive ‘Manmarziyan’ with Taapsee Pannu?